Are you looking for cosmetic contact lenses in Chicago to complete your Halloween costume? If so, you’re not alone. Cosmetic lenses are a popular costume accessory that can be safe and fun. However, there are some important facts that you should know about when it comes to these contact lenses and your eye health. Designed to change the appearance of a person’s iris in some way, many people enjoy wearing cosmetic lenses day-to-day and for special occasions. For example, cosmetic lenses can make a person’s green eyes look a bit greener, make the entire iris appear black, or make the pupil appear the same shape as a cat’s. However, the most important thing that you should know about cosmetic lenses is that they are medical devices and should be approached in the same way that a pair of corrective lenses would be approached. How do I get cosmetic lenses? Because cosmetic lenses qualify as medical devices, they require FDA approval and an up-to-date contact lens prescription from an eye doctor to be sold in the United States. This means that even if you do not need prescription eyeglasses or contact lenses to see well, that you will need to visit an optical center to get a prescription if you want to wear your cosmetic lenses safely. 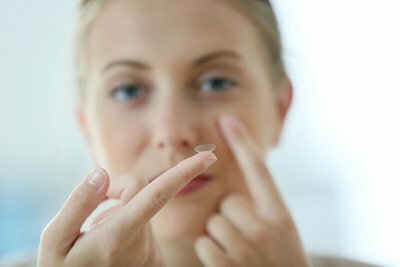 Once you have your contact lens eye prescription, you can purchase the contacts of your choice from an FDA approved company. Why are cosmetic lenses considered medical devices? In the past, you could find contact lenses being sold as “one size fits all” in costume and novelty stores. The problem with this is that eyes are not the same shape from person to person, and even a single individual can have eyes that are not identical in shape. When you wear contact lenses that do not fit your eyes, this can lead to infections and permanent eye damage. For these reasons, you must purchase and care for cosmetic lenses in the same way you would a prescription pair.